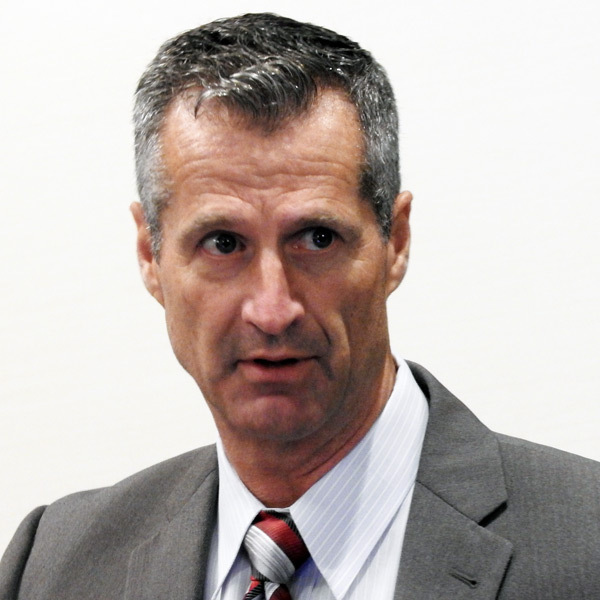 SARATOGA SPRINGS, N.Y. — New York’s top regulator last week assured the state’s power producers that he would offer a steady hand in a time of dramatic change for the electricity sector. 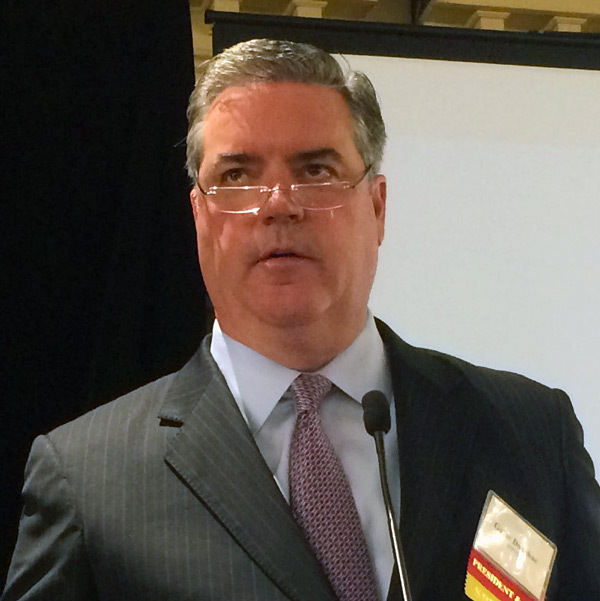 “With me, you should expect a policy of continuity — continuity with the state’s energy policies,” New York Public Service Commission Chair John Rhodes said at the fall conference of the Independent Power Producers of New York. It was his first time speaking before the group since being appointed to the PSC by Gov. Andrew Cuomo in June. IPPNY CEO Gavin Donohue introduced Rhodes by saying his group’s members are “very concerned” about New York’s natural gas infrastructure. “The siting of natural gas pipelines is FERC’s jurisdiction, but the DEC [New York State Department of Environmental Conservation] has developed a pattern of denying water quality certificates for projects, most recently evidenced by the decision on the Millennium Pipeline,” Donohue said. (On Friday, FERC overruled the DEC, saying that by failing to act within the one-year time frame required by the Clean Water Act, it had waived its authority to issue or deny a water quality certification (CP16-17)). Rhodes responded that his commission continues to support programs that lead to more gas customers. Rhodes said that regulators can trust market actors “to act rationally … and our role is to keep the picture whole,” and that getting the transmission right is a way of harnessing the ability of the market to move toward the grid of the future. 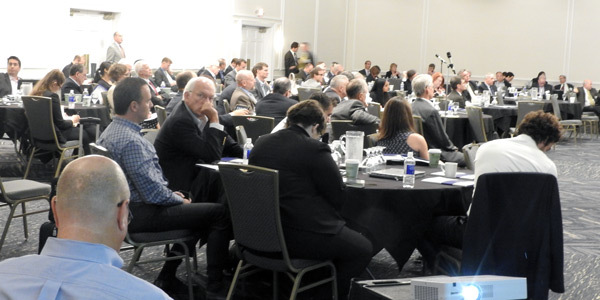 The CES is “up and running” and the first request for proposals has been released, which, in combination with an RFP by the New York Power Authority, represents the largest procurement in New York and U.S. history, Rhodes said. “These projects will generate 2.5 million MWh of electricity a yea r… and the response so far has been … robust,” he said. The state has taken important first steps in pricing carbon into the wholesale energy market, Rhodes said. John Reese of Eastern Generation asked about the many levels of REV, from the “umbrella level” to the core of the program. “As a non-utility company without limitless resources, tracking the 46 REV-specific activities, the paper that comes through, and moving from the weeds back up a level to, ‘What does it mean in synthesis?’ … How can you help synthesize the information? … I mean, my REV reading list is waist-high,” Reese said. REV’s regulatory proceedings “are many and complex, so there’s a complicated machine, but it’s aimed at some fairly direct, simple outcomes,” Rhodes said. He said a “regulatorily naïve observer,” thinking about investment decisions and wanting to know where to focus attention, will eventually see a clearer picture emerge. “I think we’re going to start getting the operational outcomes increasingly over time. … It’s on a conveyor belt that’s about to start coming out,” he said. Donohue asked Rhodes how the PSC will integrate NYISO’s study on the retirement of Entergy’s Indian Point nuclear plant into the work of the New York State Energy and Research Development Agency’s task force on the issue. 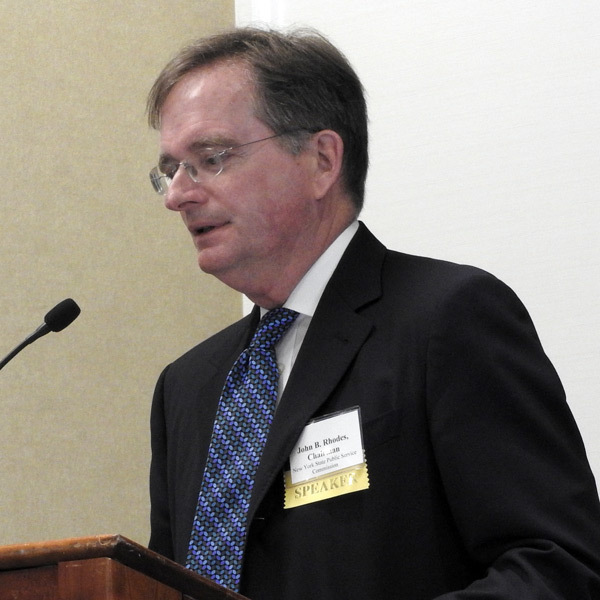 NYISO’s Brad Jones addressed the issue of Indian Point’s closing from the ISO’s perspective. NYISO hopes to complete the assessment by the end of this year, Jones said. “There are a number of factors that continue to move, and we have to make assumptions, and we will have to do several sensitivity analyses around the report to get something that each of you will be comfortable with what you see,” he said. Jones said the ISO’s work on the proposal for the AC transmission project proposed to run from upstate to load centers in New York City and Long Island will likely run into next year. “We’re steadily in [the] process of moving the AC forward, and that’s also a significant project for the health of New York and the ability to move renewable generation around the state,” he said. Competitive transmission developers are asking FERC to order NYISO to issue a new request for proposals for transmission upgrades. The New York Public Service Commission held a technical conference to discuss the state’s proposed Clean Energy Standard.